How Is Hematuria Tested and Diagnosed? What Is the Prognosis for Blood in the Urine? How Can You Prevent Blood in the Urine? Blood in the urine is medically referred to as hematuria. Hematuria may be visible with the naked eye (gross hematuria) or identified on microscopic urinalysis (microscopic hematuria). Hematuria may be caused by many conditions, and not all causes of hematuria are serious. Strenuous exercise and certain medications can cause hematuria. Kidney stones, urinary tract infections, kidney disease, blood diseases, and some cancers are all known causes of blood in the urine. Blood in the urine should always be evaluated by a doctor. Blood in the urine may occur on its own or may accompany other symptoms. Urinalysis, blood tests, cystoscopy, and imaging tests are used to diagnose the cause of blood in the urine. Blood in the urine is medically known as hematuria. Doctors often further differentiate hematuria into gross hematuria (blood that can be seen in the urine with the naked eye; often the urine is red in color) or microscopic hematuria (blood cells identified on microscopic examination of the urine). Blood in the urine can occur due to many medical conditions and diseases. 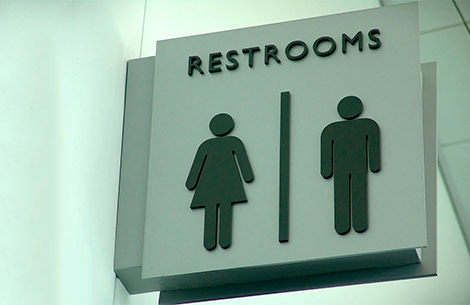 Blood in the urine may be associated with painful urination, abdominal or pelvic pain, pus in the urine, or other symptoms, depending upon the cause. It is also possible to have blood in the urine that is not associated with pain or other symptoms. Infection: Blood in the urine can be a sign of urinary tract infection (UTI). An infection can be present in the lower urinary tract (bladder and urethra) or higher in the urinary tract (kidneys or ureters). Nephrolithiasis: Kidney or bladder stones may form inside the urinary tract and can cause bleeding into the urine. Kidney disease: Diseases of the kidney can be associated with blood in the urine. Prostate gland enlargement: Enlargement of the prostate can compress the urethra and partially block the flow of urine. Hematuria may be a symptom of an enlarged prostate caused by benign prostate hyperplasia (BPH or benign prostate enlargement) or prostate cancer. Cancers: Kidney and bladder cancers may be associated with blood in the urine. Injury: Trauma to the urinary tract can cause bleeding into the urine. Drugs: Medications including aspirin, heparin, and penicillin can cause hematuria. Strenuous exercise: Although the reasons are poorly understood, strenuous exercise has been associated with blood in the urine. Hematologic disorders: Disorders that affect the blood or the ability of the blood to clot can sometimes lead to hematuria. Sickle cell disease is one example of a blood disease that can cause bleeding in the urine. As mentioned previously, blood in the urine may be visible with the naked eye or first identified through microscopic examination of the urine. Blood in the urine is a symptom of multiple different conditions. Whether in men, women, or children, it may occur on its own or may be found in association with other symptoms and signs, depending upon the cause. UTI as a source of blood in the urine may be accompanied by painful urination, needing to urinate frequently or urgently, and pus in the urine. Kidney stones may cause flank or abdominal pain that can be quite severe. Some of the conditions that cause blood in the urine in children may not cause any other symptoms. Although there are many causes of blood in the urine that are not serious or may resolve on their own, it is important to see a doctor any time you notice blood in the urine so that its cause can be determined and treated. Approximately 20% of patients with blood in the urine will have cancer. Urinalysis with microscopic examination of the urine reveals not only blood, but also evidence of infection, such as white blood cells and bacteria. The urinalysis also can show evidence of kidney disease when present. Urine culture or tests to identify genetic material of microorganisms can identify the precise cause of an infection. Blood tests can be used to evaluate kidney function. Cystoscopy is a procedure that is used to examine the inside of the urethra and bladder with a thin tube-like instrument. Tissue samples (biopsies) to rule out cancer cells may be taken using cystoscopy. Biopsy of the kidneys can be performed to diagnose kidney diseases that may lead to blood in the urine. Hematuria caused by medications or a minor, temporary problem may not require specific treatment. Otherwise, treatment is directed at the underlying cause of the bleeding in the urine. UTIs are treated with antibiotics. Kidney stones may require intervention by a urologist with lithotripsy or ureteroscopy. Cancers of the urinary tract are treated according to their type and extent of spread (stage). The prognosis, or outlook, for blood in the urine depends on the cause. Many causes of blood in the urine, such as medications, minor trauma, or kidney stones are temporary and do not have long-term effects. Many causes of hematuria have an excellent prognosis. UTIs have a good prognosis for most people and are treatable. Cancers of the urinary tract may have a good prognosis if detected early. The overall prognosis for urinary tract cancers depends on the exact type of cancer and the extent to which it has spread at the time of diagnosis. Many causes of blood in the urine are not necessarily preventable, such as urinary tract infection or cancer, enlargement of the prostate, blood diseases, and kidney diseases. Other causes, like strenuous exercise and the use of certain medications, can be preventable to some extent. Maintaining adequate hydration can be helpful in reducing the chance of developing kidney stones. Urinalysis (UA) simply means analysis of urine. This is a very commonly ordered test that is performed in many clinical settings such as hospitals, clinics, emergency departments, and outpatient laboratories. "Hematuria: Blood in the Urine." National Kidney and Urologic Diseases Information Clearinghouse. 16 Apr. 2012. "Hematuria: Blood in the Urine." National Institute of Diabetes and Digestive and Kidney Diseases. Updated Jul 2016. What treatment did you use for hematuria? How did you discover that you had or have hematuria?